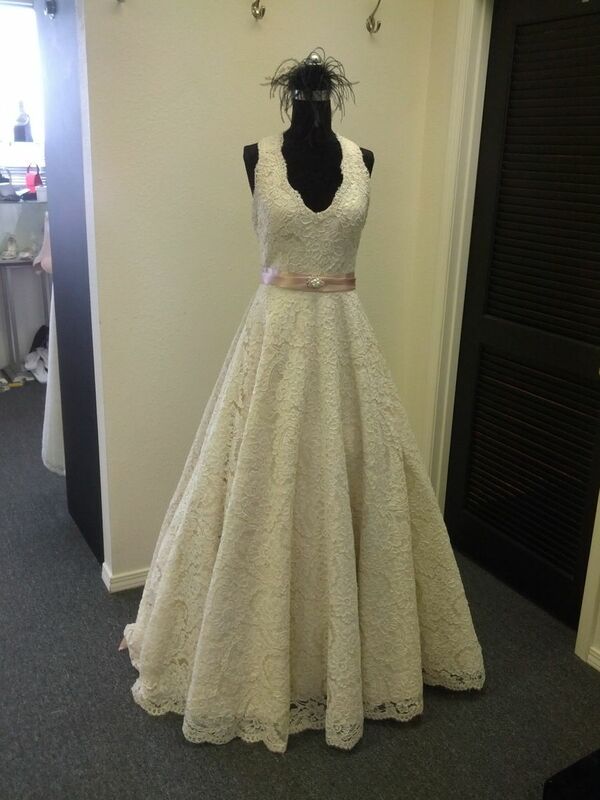 The lace on this gown is divine. It's an alencon, re-embroidered lace with big floral patterns. With a big, full skirt and built-in crinoline, this dress is admittedly a bit heavy, but it sure is beautiful!